Optionals for vegans/ Paleo Purists. *Natures Path Mesa Sunrise flakes instead of bran or oats. Okay, so it’s not the most complex recipe but It’s better to go over everything..Firstly you can select the nut you’d like, I chose almonds as they’re low in fats (good fats) and they break down well in the digestive system and they’re tasty, you could choose hazlenuts too as they’re similar in fats. 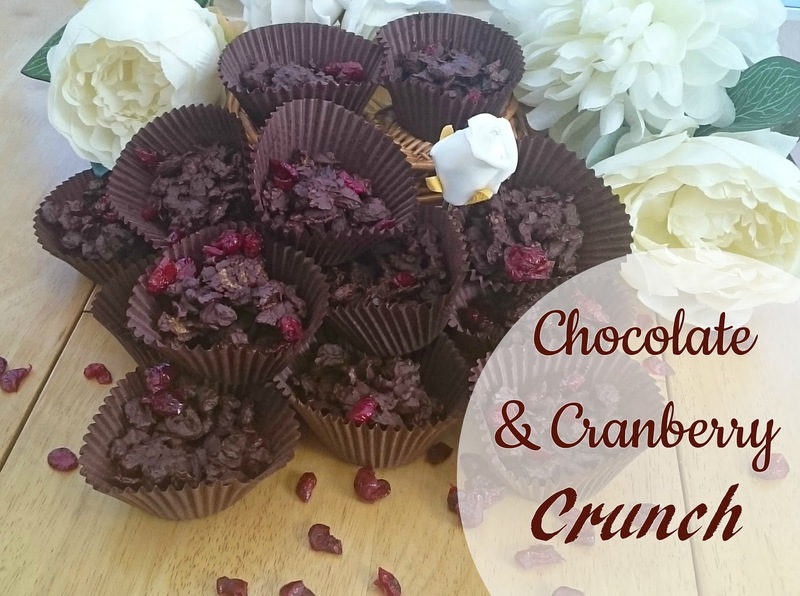 Secondly choose your dried fruits, since dark chocolate goes so well with cranberry I thought they’d be best so I really do suggest having them in with any other dried fruits you choose, apricot being another great selection. I think apricots go well with these too as they’re slightly chewy so you get a lovely fudgy crunchy texture with these!Measure out all of your ingredients. Pop your chocolate in a double boiler and while that’s gently melting away, place your nuts in a separate bowl and lightly crunch them with the back of a wooden spoon or rolling pin. You can do the same with your ‘crunchy’ flake too. Once your chocolate is melting add everything to your bowl, mix well ensuring that all your goodies stay in one big cluster, pop them one tablespoon at a time into paper case. Leave to set for an hour in the freezer or two in the fridge. I like mine firm, so I freeze them! If you’ve not tried any of my recipes then this is the one to try. « Healthy Christmas Hacker: Hack #3 Staying motivated to keep fit.